Among the many programs at UW Botanic Gardens, the Fiddleheads Forest School stands out as a unique program for the youngest learners. With the Washington Park Arboretum as its classroom, the outdoor preschool program offers students the opportunity to explore the natural world, learn from experimenting, and practice stewardship of the environment. 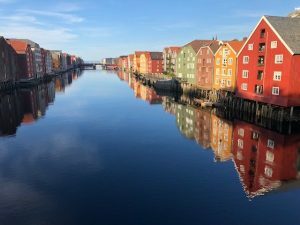 Fiddleheads Director and Co-Founder Sarah Heller spent a week in Trondheim, Norway in September 2018. What is 3 year old Alvin up to at the Fiddleheads Forest School?